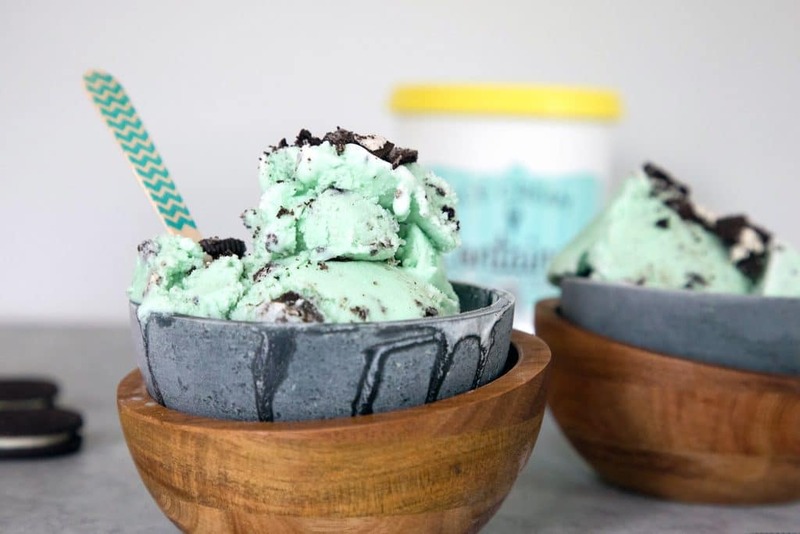 This Mint Oreo Ice Cream is eggless and the perfect simple-to-make frozen summer treat. Hi everyone! 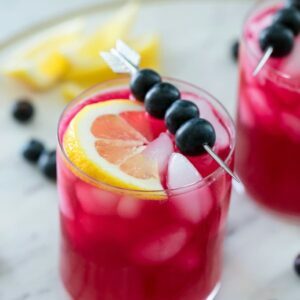 I have another blast from the past recipe for you today. This one is a little bit sentimental for me because it was the first ice cream I ever made from way back in 2010. I made this in Chris’s Brighton apartment kitchen while he was at work during my days of freelancing (back when he was just my boyfriend). There was also a corresponding video for the Mint Oreo Ice Cream that lived within this quite popular blog post for WAY too long. I must have randomly decided “now would be a good time to make a video for ice cream, despite the fact that I’ve never made ice cream before, have no idea how to record a video, and haven’t brushed my hair today.” But by all means, fantastic idea! How embarrassing. The good news is, I have a new video for you today! And while I’m still not a video pro, at least I’m not physically in this one (so, you’ll never know if I brushed my hair or not) and the ice cream looks a whole lot prettier than it did seven years ago. Yikes. OK, so at this point in my life, I’ve made a serious amount of ice creams. Maybe even bordering on a ridiculous amount. And I most often make egg-based ice creams, which I love. So, I was a little hesitant to revisit this egg-free ice cream. But the recipe was so simple to whip up, I figured I’d give it a go. And omg. It was SO good. Like, I now realize (re-realize??) eggs aren’t totally necessary to making a good ice cream. 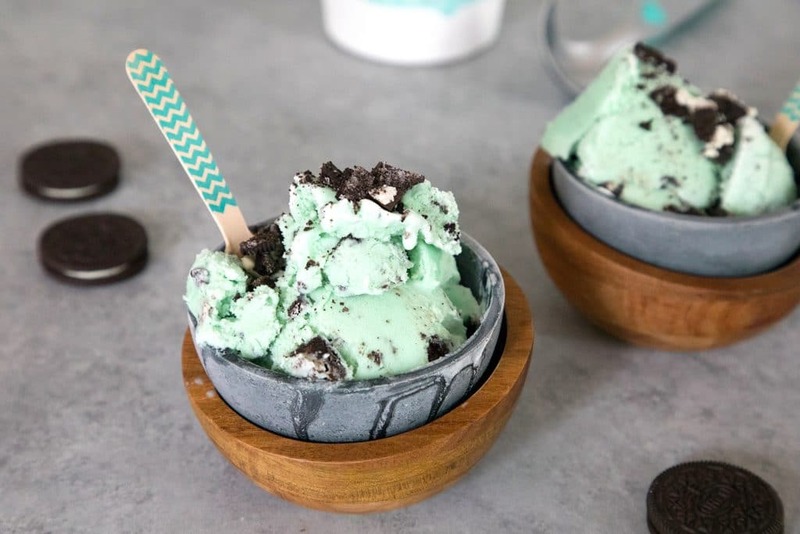 In lots of ways, this Mint Oreo Ice Cream is easier to make than my typical ice creams. Because there are no eggs involved, there’s no need to heat anything up, which means you’re really just mixing the ingredients together and freezing. No excuses! You do need an ice cream maker, but I promise you it’s worth the investment. If you own a KitchenAid mixer, I highly recommend getting the ice cream maker attachment (affiliate link). It’s inexpensive and super convenient. I keep it in my freezer at all times, so it’s always ready to go when an ice cream craving hits. I’ve owned it since 2010 when I made this very first ice cream and it’s showing no sign of slowing down any time soon! In terms of making this ice cream green, it’s totally up to you. 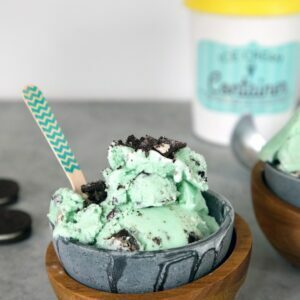 There’s nothing wrong with a white mint ice cream… But I just love the green mint chocolate chip ice cream of my childhood, so I had to add a couple drops of food coloring here. I’m feeling all kinds of nostalgia over the fact that I made this a full 7 years ago in what was the start of my love for making homemade ice cream. I wonder how many more ice creams I’ll make in the next 7 years. I have a list of flavors I want to make ASAP… But I’ll probably make it through those in the next 12 months! Can we talk about favorite kinds of ice cream? Mine totally depends on my mood, but basically varies between coffee and mint with either Oreo or heath bar mixed in. 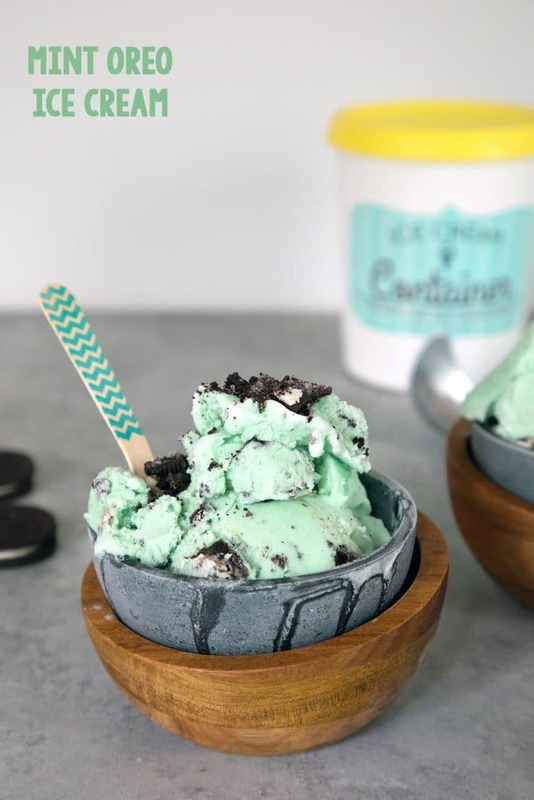 So, this mint Oreo ice cream is pretty much a dream come true. Also… I have another super fun homemade ice cream coming up in a couple weeks that’s a new favorite flavor for me. Now, all I want is 90 degree days with endless amounts of ice cream. It looks like we could be getting just that (well, the 90 degree days part; not necessarily the endless ice cream part) on Sunday. Sadly, not for Friday when I’ll be heading to Ogunquit, Maine, for a day of fun. But honestly, ice cream can even make a rainy cold day better. As long as you’re sitting somewhere warm with an XL fleece blanket and maybe your gas fireplace turned on. Yes, I’m still turning my fireplace on in June. Sob. Are you as obsessed with making homemade ice cream as I am? In a large bowl, whisk together heavy cream, milk, sugar, salt, vanilla, and mint extract until combined. 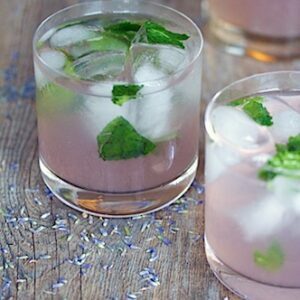 Stir in food coloring, if using. Pour the mixture into your ice cream maker and follow manufacturer's instructions, likely running for about 20 minutes. Add crushed Oreos to ice cream when it's almost done processing. Transfer ice cream to containers and freeze for at least 4 hours before serving. 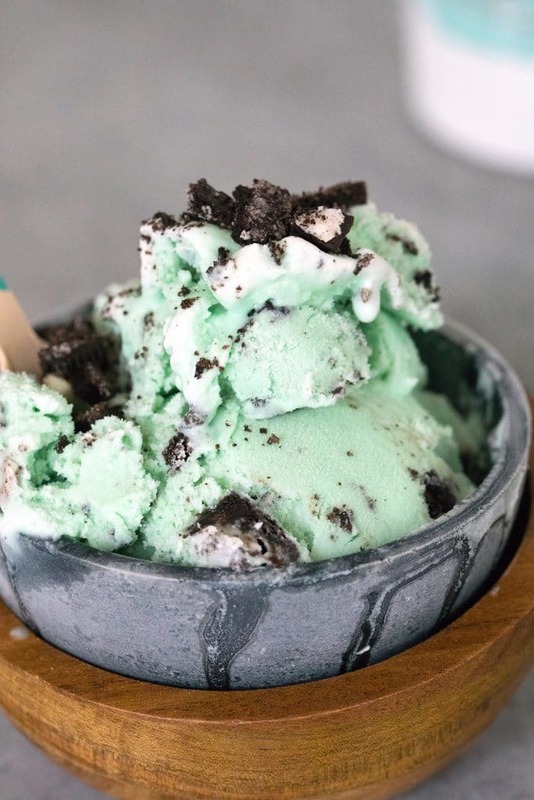 29 Responses to "Mint Oreo Ice Cream"
WOW. 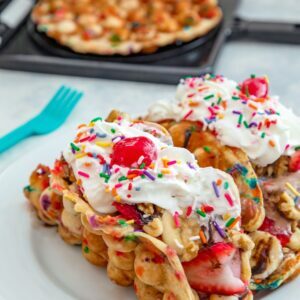 I don’t have an ice cream maker but maybe this will convince my husband that I NEED the kitchen aid because then I’ll NEED this attachment 🙂 This looks amazing! Hey! Great Job! The video is fun, makes me want to try one! Glad it turned out well! Isn’t it such an obsession once you start? I have found that 20 minutes is a guideline, but it varies based on how warm it is in your apartment, and is very dependent on humidity. When it’s ready, the ice cream is usually all the way at the top of the machine, and the machine does a little clicking sound. It won’t be as melty afterwards. Thanks for linking to me! Have a great weekend! I have been dying to do this Mascarpone Ice Cream and Roasted Peaches recipe but my ice cream maker is kaput. 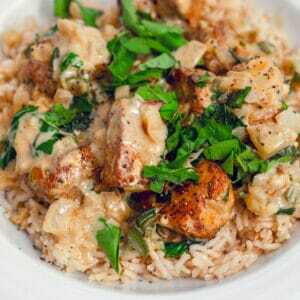 I hope you guys try it out because it looks divine!! My college roomate had an ice cream maker and made Twix Caramel ice cream with little chunks of Twix bar mixed in. It was heaven!I am a little afraid to have the ability to make my own ice cream.I might eat nothing else! What a great ice cream flavour! i loved your video! i actually have the cuisinart icecream maker… ive only used it once and just today i thought that i need to bust this puppy out again. it takes up a lot of space in the freezer- but i feel like if i have it in there, ready for me, then ill be more inclined to whip up one of these delicious recipes! thank you for informing me there was an ice cream maker attachment! 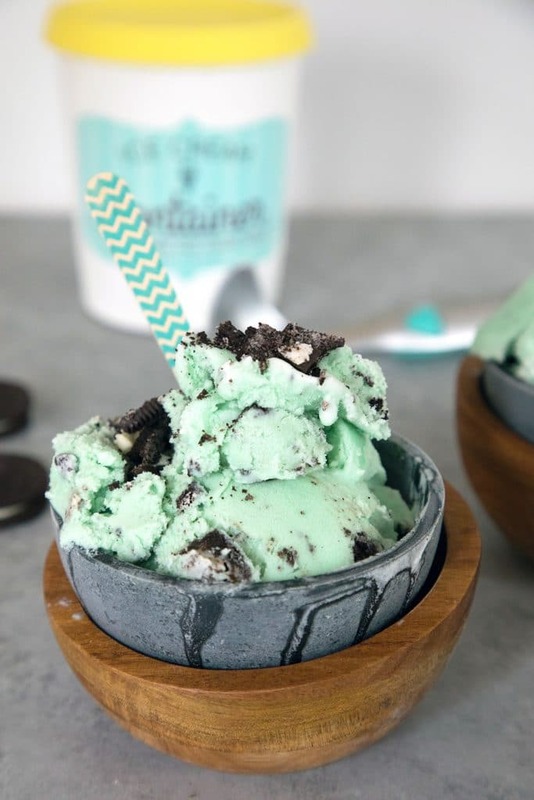 i can’t believe i didn’t know that but i need to get it so i can make this delicious mint oreo ice cream! Oh my goodness the video is so cute! And I had no idea Kitchen Aid had an ice cream attachment. Definitely going to invest in that. I’ve tried the 101 Cookbooks recipe for frozen yogurt on my roommate’s ice cream maker and if you’re at all into the froyo I highly recommend it!! Peach and ginger ice cream!!!! You guys gotta try it. Awesome video by the way. Oh my, homemade ice cream would be heaven I’m sure!! I would make something hard-to-find in stores. The other week I saw a recipe for goat cheese ice cream with raspberry sauce that I think would be glorious! you gals are getting closer and closer to being martha everyday! this is quite the feat! looks deliciousssssssss! i wonder if adding coffee would be equivalent to COFFEE ice cream… tis my fav! Wow! This looks soo good! I can’t believe it’s an eggless recipe. Love it! Actually, my first ice cream maker recipe was an eggless one too — a strawberry one that is probably still my favorite. 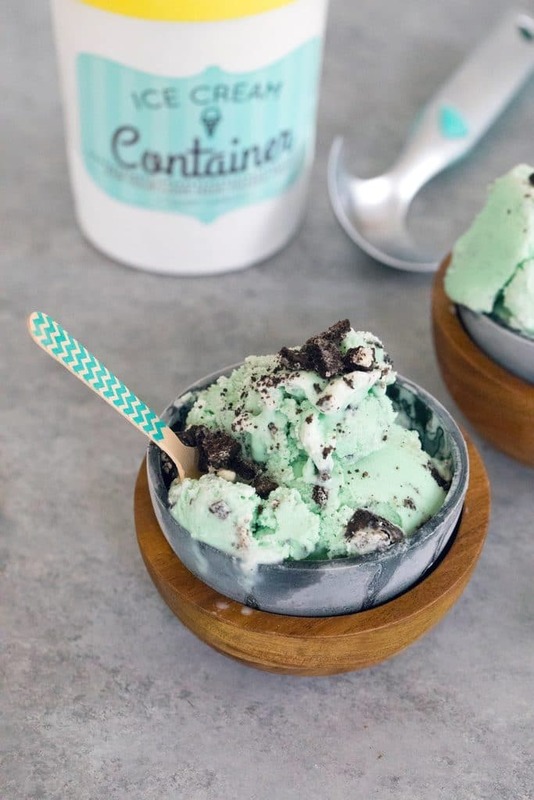 I was thinking of getting mint at the farmers’ market this weekend and making mint chip ice cream. Cute video! YUM! This looks amazing. I live in TN, so I will definitely be cooling off with a lot of homemade ice cream this summer. I have the Cuisinart ice cream maker and LOVE it! It’s sooo easy! Hey ladies! I’m so jealous! I’ve been wanting to do a red wine sorbet, or a blood orange sorbet, two of my faves. But Susie, if you do pear sorbet, you have to bring me some! It is my favorite, the perfect between course palate cleanser and it is sooo hard to find in boston! it basically just takes like frozen pears. YUMMO. So summery. Xo, ladies. ooh, summertime!! i’m all about the mixer attachment, too 🙂 i have been meaning to try my pistachio-coconut milk ice cream again, or a tart fro yo remake! I absolutely LOVE my Kitchen Aide Mixer AND my ice cream maker attachment!!!!! I make ice cream at least once a week and can’t wait to try this one. I think my favorite so far would be Cake Batter Ice Cream, like at Cold Stone Creamery. This was the BEST ice cream. It was my first attempt at homemade ice cream so I was a little nervous on how it would turn out. It was incredibly easy to make and it tastes AMAZING! My husband told me I can not make this ice cream again for a while because he ate almost the whole thing in one sitting! I’m with you there on buying the Kitchen Aid attachment. Mine used to live in the freezer but our meat freezer broke so I’ve now run out of space. It’s not quite ice cream weather here otherwise this could have featured on my weekend menu. This looks heavenly! I just bought an ice cream maker and this will be one of the first ones I make! Love your photo styling, btw! Too cute! This makes me want to weep with sweet nostalgia and longing. I must make this ice cream! So mint Oreo just happens to be one of my favorite Blizzard flavors, and I haven’t had a Blizzard in like 10 years. I need to remedy that ASAP and make your amazing ice cream. I can already taste it and it’s incredible :). Have a great week, Sues!